Opening weekend $18.554 million on 3139 screens. Nominated for Best Animated Feature. For the first time ever, the movie crop of 2001 warranted this brand-new Oscar category: Best Animated Feature. Many people felt that animated movies got the shaft come Oscar time, and that’s true; during the 74 ceremonies to date, only one film - 1991’s Beauty and the Beast - ever received a nomination for Best Picture. 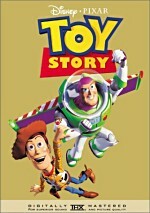 Over the years, Disney dominated the field so strongly that a Best Animated Feature slot would have been problematic. However, since DreamWorks and others have finally ended Disney’s absolute supremacy over the genre, the time finally became right for such a prize. As far as I know, 2001 was the first year ever that the highest grossing animated film didn’t come from Disney; with a take of $267 million, DreamWorks’ Shrek narrowly bested the $254 million of Disney’s Monsters Inc.
Once the Academy announced that there would be a Best Animated Feature award for 2001, it became a two-movie race between those two. However, they needed to nominate something else as well, and that’s where the unheralded Jimmy Neutron Boy Genius entered the picture. Was this at least partially a political decision? Perhaps, for the film most likely edged out by Neutron was Atlantis: The Lost Empire. Did the Academy want to avoid awarding two-thirds of the nominations to Disney? Possibly, though the voters simply may not have cared for the moderately bland Atlantis. Personally, I think it’s a shame that none of the three nominees featured traditional cel-based animation; all three offered computer-generated work. I suppose that’s a telling comment on the current state of animated affairs, though. It seems like almost every CG flick cleans up at the box office, while the cel-based features lack much spark. I don’t think a true cel-based hit has arrived on screens since 1999’s Tarzan, and we’ve seen scads of CG successes since then. As usual, I digress, for none of this has much to do with the relative quality of Neutron. For the record, the film earned a more-than-respectable $80 million at the box office. Its creators didn’t attempt the lavish animation of its peers - which shows - but that meant a much lower budget. Compared to $60 million for Shrek and the stunning $115 million for Monsters, Inc., Neutron cost pocket change at a mere $25 million. Neutron tells the tale of its titular hero (voiced by Debi Derryberry, which is possibly the cartooniest name I’ve ever heard), an elementary schoolyard Einstein who creates a variety of inventions, many of which malfunction in amusing ways. Still, he clearly is a boy genius, and at the start of the film, he flies his own ship to attempt to make contact with alien species. Unfortunately, he succeeds. After an interlude in which his parents punish him and he wishes they went away, they do because the egg-like Yokians kidnap them for food purposes; they’ll be sacrificed to chicken god Poultra. Initially, Jimmy and his friends delight in their newfound freedom, but they quickly learn that they need their parents and start to panic. Jimmy discovers the alien plot and amasses the kids to fight it. They use his inventions to rocket into space and take on the Yokians on their own turf. Before I watched Neutron, I thought the character came from some long-running Nickelodeon TV series ala Rugrats. I was wrong. It turns out that back in 1995, Jimmy originated as Johnny Quasar in some CG shorts from DNA Productions in Texas. After they sold the suits on their character, he transmogrified into Jimmy Neutron, and voila! Nick started to run some Neutron shorts in 2001 and released this theatrical film at the end of the year. I can’t say I had great expectations for Neutron, and I also can’t call it a great film. Despite its flaws, Atlantis should have earned the third nomination for the animated films. The movie provides a much stronger piece of art and simply feels like a more solid, better-executed effort. Neutron’s roots show through, as the animation doesn’t live up to normal theatrical expectations. The visuals outdo TV fare but not by a lot, and they seem somewhat flat and awkward much of the time. However, Neutron definitely tops Atlantis in another area: fun. Neutron lacks the same level of intelligence or cleverness we’d usually find from a Pixar product, but the filmmakers throw a lot at the wall, and enough of it sticks to make the movie enjoyable. The film abounds with small throwaway gags that made me smile, like when Jimmy’s mom (Megan Cavanagh) chirps “stop, drop and roll” at the sight of a small fire. The voice actors greatly enhance the flick as well. The main cast -ie, the ones who appear in running Neutron activities - includes few known names, but glances through their résumés shows that most boast a lot of experience in the field, and they all do good work. In addition, we find a nice complement of better-known guest stars like Patrick Stewart and Martin Short, and these folks help add charm and spark to their characters. I wouldn’t want to subject Jimmy Neutron Boy Genius to a lot of scrutiny, for it doesn’t stand up to that kind of attention. It isn’t a landmark animated film that will likely endure for generations. Nonetheless, it does provide an amusing and entertaining experience that kids and adults can enjoy together, which is good enough for me. 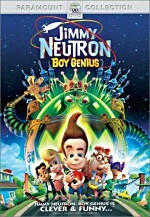 Jimmy Neutron Boy Genius appears in both an aspect ratio of approximately 1.85:1 and in a fullscreen version on this single-sided, double-layered DVD; the widescreen image has been enhanced for 16X9 televisions. Only the letterboxed picture was reviewed for this article. 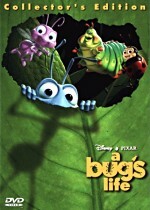 I expect a lot from DVDs with animated films, as they often offer the strongest visuals available. Jimmy Neutron didn’t disappoint me; the image looked absolutely spectacular. In fact, Neutron looked so good that I suspected it might be a digital-to-digital transfer. However, I assumed incorrectly; after a consultation with Paramount, I discovered that the image actually came from the usual film-to-tape methods. Paramount outdid themselves with this one, for the picture seemed so strong that it just narrowly missed an “A+”. Sharpness seemed immaculate. The image always remained crisp and well defined, and I saw no signs of softness or fuzziness. The film seemed tight and accurate at all times. I detected no jagged edges or moiré effects, and I also witnessed no evidence of edge enhancement. Print flaws appeared totally absent, with nary a speckle, mark or other defect in sight. Neutron provided a dazzling palette, with an extremely broad array of tones. The DVD reproduced these wonderfully well. The colors looked bright and vivid throughout the movie; it’s a cliché, but I have to call them “eye-popping”. The hues remained tight and deep and never displayed any signs of problems. Black levels also appeared dense and solid, and shadow detail appeared appropriately heavy without excessive opacity. I felt the image of Neutron lacked that certain intangible that would earn it an “A+”, but it came very close; the movie looked spectacularly good. While the Dolby Digital 5.1 soundtrack of Jimmy Neutron Boy Genius didn’t quite match up with the superlative visuals, it worked quite well nonetheless. The movie featured lots of opportunities for broad and active audio, and the mix took advantage of those. Throughout the film, I heard many examples of elements that appeared from all five channels, and the sounds blended together smoothly and cleanly. Of course, the loud action sequences seemed most impressive, such as during a meteor shower. However, they didn’t offer the only positive spots, as I also felt that film provided a fine sense of general atmosphere. The environment seemed convincing but not overwhelming. Audio quality appeared very good. Dialogue seemed natural and warm, with no signs of edginess or problems related to intelligibility. Music sounded bright and vivid, as the score and songs offered fairly solid clarity and fidelity. Effects also showed good dynamics and reproduction. They lacked distortion and seemed clean and accurate, with pretty solid low-end response as well. Bass could have been a little more prominent, but those tones still appeared deep and rich. Overall, Neutron featured a soundtrack the benefited the film. While not a special edition release, the DVD of Jimmy Neutron Boy Genius does include a mix of extras. First we find The Making of Jimmy Neutron, a 16-minute and four-second featurette about the flick. It combines the usual mix of movie clips, behind the scenes shots, and interviews. We hear from director John A. Davis, producers Steve Oedekerk, Keith Alcorns and Albie Hecht, foley artists Sarah Monat and Robin Harlan, actors Patrick Stewart, Martin Short, Mark DeCarlo, Megan Cavanagh, Carolyn Lawrence, Rob Paulsen, Jeff Garcia, Crystal Scales, Bob Goen, and Mary Hart. Despite - or perhaps because of - that extended roster of participants, the program offers little more than a promotional piece. Essentially we see lots of bits from the movie while he hear about the story and the characters. We watch a few seconds of the different animation stages and also get a quick glimpse into the foley studio, but the show lacks any real depth or insight. Two music videos appear on the DVD. First we get “Leave It Up to Me” from Aaron Carter, little brother of Backstreet Boy Nick Carter. Man, could this kid seem any more smug and obnoxious? 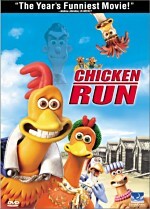 The video combines movie clips with a theme in which Carter goes on a school field trip. He rocks out in a lab and even appears in computer-animated form. Yawn. The second video offers “Kids In America” from girl group No Secrets. I accentuate the word “girl” because all are quite young; off the top of my head, I can’t recall if all of them are under 18, but I think they are. The video actually lists their ages as we see their names! Thanks for making me feel like a perv as I watched these young hotties! Anyway, the video provides a pretty bland affair in which the girls dance and lip-synch to their chirpy little number. I didn’t realize they still made groups that imitate the Spice Girls, but I guess this offers my proof! Annoying, both videos show identifying text - song title, act, album, etc. - in the lower left corner throughout their entire running times. That material’s fine for a few seconds at the start and finish, but it filled about a quarter of the screen and never left. That became pretty aggravating. In addition to the theatrical trailer and teaser for Neutron, we get a collection of Promotional Spots. These start with seven “Interstitials”. Those pieces last between 56 seconds and 108 seconds for a total of 10 minutes and 36 seconds of footage. Basically these are mini-shorts that appeared on Nickelodeon prior to the movie’s release; from what I understand, these actually first started to hit the air back in February 2001. They seem quite fun and entertaining. Next we get five “Cliffhangers”. Also aired on Nickelodeon to tout the film, these run between 65 seconds and 81 seconds for a total of five minutes and 52 seconds. While all the “Interstitials” focus on unrelated tales, the “Cliffhangers” create one longer story, and they also lead up to the beginning of the film itself. I thought that was clever, as they show how Jimmy and his robot dog Goddard end up on their early mission. The “Cliffhangers” don’t seem as entertaining as the “Interstitials”, but they’re a nice addition to the package anyway. For DVD-ROM users, the fun continues. In addition to two weblinks, we get a collection of seven different Jimmy Neutron games. Interestingly, six of these seem inspired by the interstitials seen elsewhere on this DVD; they share the same titles and themes. Only “Light Speed Lift-Off” substitutes for “New Dog, Old Tricks”; the other six duplicate the names and themes of the shorts. Too bad that don’t replicate the fun. Admittedly, I’m a little old for the target audience of these games, but they seem primitive and simplistic. Actually, they offer stronger graphics than most of these cheap throwaways, but they stick with basic aims and control and don’t feel very entertaining. Quantity doesn’t make up for low quality. Although I went into Jimmy Neutron Boy Genius with fairly low expectations, I found it to offer a pretty lively and engaging little piece of work. The film suffered from no pretensions of grandeur; it just wants to provide a rollicking good time, and it generally succeeded. The DVD featured absolutely stellar picture quality along with very good sound. It didn’t include many extras, but a couple of good pieces appeared. Overall, Jimmy Neutron Boy Genius should earn a viewing for families who want to watch something light and innocuous but still clever and entertaining.